This past week, my 100% Irish mother treated my sister and I to a cooking class at Central Market San Antonio that featured traditional Irish foods from chef Rachel Gaffney. 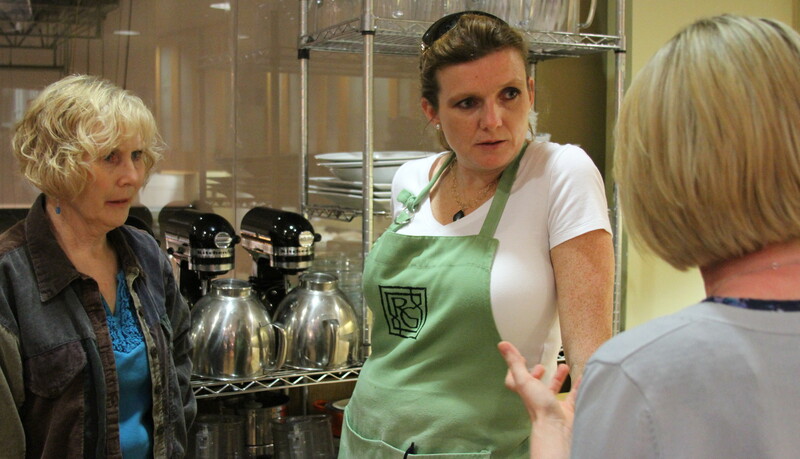 You may not have heard of Rachel Gaffney, a spunky Irish transplant and chef living in Dallas and founder of Rachel Gaffney’s Real Ireland. I had not. Like a siren song, when presented with the opportunity to learn about or do something remotely Irish in nature, I try not to miss out. I love pretty much everything about my Irish heritage. I love my freckled, fair skin and blue eyes. I love my daughter’s fiery red hair. I love the writings of John O’Donoghue. I love Irish music. When I listen to Sinead O’Conner sing In This Heart, the spectrum of crying which ensues is on a continuum of tearing-up to blubbering. When someone inquires of my ethnic background, I tell them I’m majority Irish (1/4 Tyrolian & 1/4 German courtesy of my Dad). The truth is my knowledge about cooking traditional Irish food is limited. Sure, I know how to make corned beef and cabbage in a crock pot for St. Patrick’s Day accompanied by whatever version of Irish soda bread is available at Central Market’s bakery. My sister makes a quick and mean Shepard’s Pie. I never drink green beer on St. Paddy’s Day. So, when I told my husband that I was going to a demonstration about Irish cooking, right on cue in Forrest Gump-like, dead pan fashion, he began repeating “roasted potato, grilled potato, fried potato, baked potato, shrimp and potatoes…”. He’s Dutch. Nobody’s perfect. I wasn’t expecting this, but Gaffney’s class was actually a short course in sustainable cooking, eating, and living. The salient take-home points are listed below. Hopefully, this list will demonstrate that the Irish have been eating well and sustainably far longer than you or I. 1. There is more to Irish food culture than the potato. If you’re Irish, it’s not mandatory to eat potatoes. But, it was mandatory before the Great Famine of the late 1800s. The truth is Ireland always had an abundance of fish, beef, produce, and dairy, but the laws of the day made it illegal for the largely Irish-Catholic peasant class to grow, sell, or essentially eat anything but the potato. Everything else that was produced was shipped offshore to supply Great Britain and its holdings. Ireland’s tenant-bound, agrarian society could not withstand a vegetable disease that wiped out their sole source of legally available food. A million or more starved and died. You wouldn’t tell Holocaust jokes to Jews. Don’t tell potato jokes to the Irish. 2. Irish eat locally, period. 3. If you take a carrot dug freshly from the ground and proceed to boil the life out of it for 20 minutes, it will taste bad and be bad for you. Don’t blame the food, blame the cook. 4. 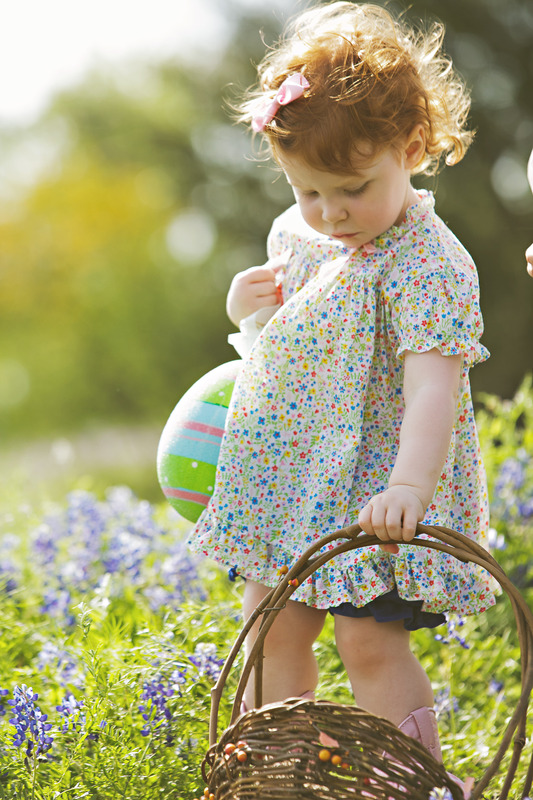 When we cook or eat, like everything else in life, we do what has been modeled and our children will follow suit. 5. Ingredients matter, not recipes, and Kerrygold Irish Butter is manna from Heaven. Kerrygold comes from grass-fed cows and is, by default, organic. The high amount of beta-carotene imparts its golden-yellow color. Echoing the sign above the carrot section in Central Market, if you are having trouble reading this post, you need to eat more Kerrygold. Use only the unsalted version for baking. 6. Rachel Gaffney knows how to cream butter better than Martha Stewart. She is not afraid to prove it on live television. See video here. 7. Ireland is blessed with massive amounts of precipitation and an abundance of grass and grass-fed beef. If you live in Texas, take heart. Gaffney says the grass feed beef available from many ranches in Texas is just as good as Irish beef. Shop your local Farmer’s Market. Join a ranch or farm’s community shared agriculture (CSA) program. Buy half a cow and split it with a relative if you don’t feel you can commit to a CSA for the long haul. 8. Don’t ever willfully bake anything with bleached flour and avoid, if possible, buying items baked with bleached flour. Bleaching flour, as a practice, has been outlawed in Europe. Take a nanosecond out of your day to ask your local baker if what they are selling is made with unbleached flour. Gaffney bakes with King Arthur flour. 9. The Irish take one or two items and make multiple meals out of them. They don’t waste food. They drink lots of tea. They bake with tea. 10. 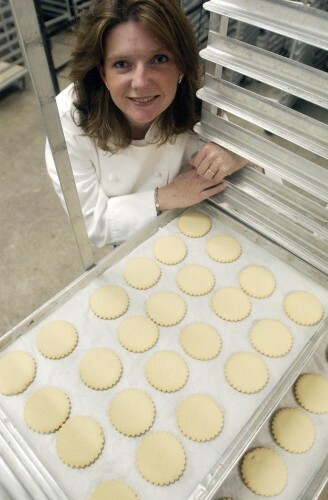 Rachel Gaffney bakes her delectable Irish shortbread cookies for her family in a GE oven that is over 23 years old. Not a Viking. Not a Jenn-Air. Kitchen design should be simple and functional, not flashy. Stop trying to impress yourself or your neighbors with über-expensive appliances and gadgets you will never use regularly or as intended. 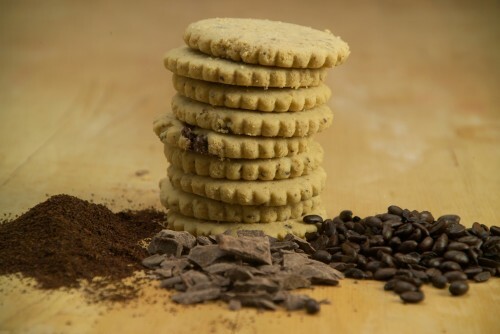 If the above picture of Gaffney’s Irish Shortbread cookies with ground espresso and shaved Belgian chocolate doesn’t make you salivate heavily, then check your pulse. Presume this post more appropriate for St. Patrick’s Day? May be so. Although, I’m not really interested in just being Irish on St. Patrick’s Day anymore. If you’re Irish-American or even if your not, be sure to check out Rachel Gaffney’s Real Ireland.